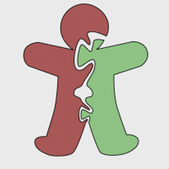 Given how terrible the initial Affinity Publisher beta was .. and how it has drastically improved as a result of many people here doing testing, and providing suggestions, some of which will be critical to the success of the product (master pages, embedded images reflowing, etc) ..
.. who agrees that Affinity should reward this in some way. I don't expect they'll pay a share of their profits .. even though the product would likely have been a flop without the advice provided by friends here... perhaps a discount or reimbursement scheme would be more realistic? The reward is software I would like to buy, no one is making me do this work. who agrees that Affinity should reward this in some way. They already have... we get the opportunity to buy and use a product which is that much better than it would have been, not to mention a sneak peak into said upcoming product. Given how terrible the initial Affinity Publisher beta was ..
A beta version has to start out somewhere and it is part of this process that there will many bugs involved. To call this 'terrible' is beyond what I can understand. In contrary, APub was at its first public start equipped with a lot of features and - to me - showed that it is well thought out. And full of flaws and missing features, too. That's why it's an early beta. To me, the reward is being part of the process of improving things. I do not understand why you are asking for a discount. Rewards just for making suggestions is unreasonable. Those who find and report a significant number of bugs deserve a free license. Perhaps for a closed beta. For a public beta, nah. Serif, which was generous in closed betas in the past with the Plus line, didn't do so with the few public betas. I think we will be able to get the finished product at a reduced price and that is reward enough. No one had to come here and test the betas. I am even ready to pay extra for the Serif programs to be even better. I am glad that I can participate in testing the Beta version, and not stand before the ready program and acknowledge that it is bad. Wait! We're not all getting cool Affinity T-shirts???!!!??? YES Lets hold out for Tshirts! The. 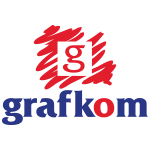 new ones are logos, the old ones are nothing but grapics/images (in my eyes). 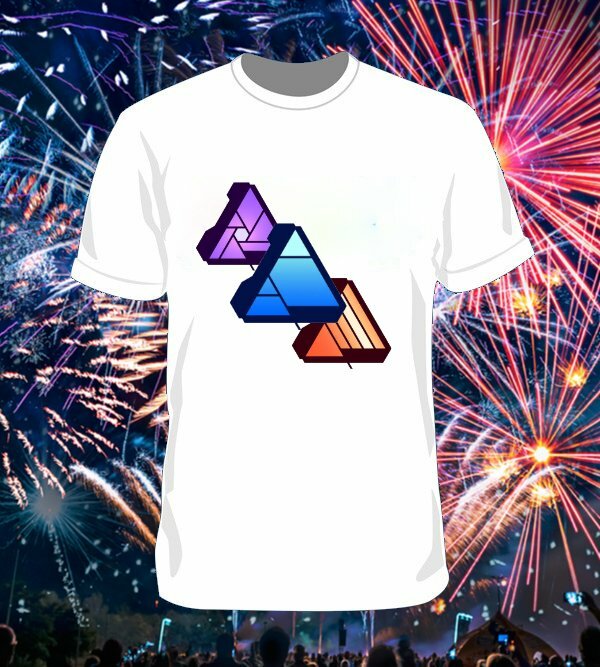 I believe there is a new range of Affinity t-shirts coming after Publisher is released. The price is expected to be discounted for people participating in these forums. … and tariq is condemned to wear it every day! Yes, that is my point... the triangle shape is iconic... if someone wears that people will generally know that it represents something, even if they don't know what it is. Regardless, that was just a quick jab I threw in... the white shirts are the more likely suggestion. Is this the time to start a new thread demanding the t shirts they promised us? 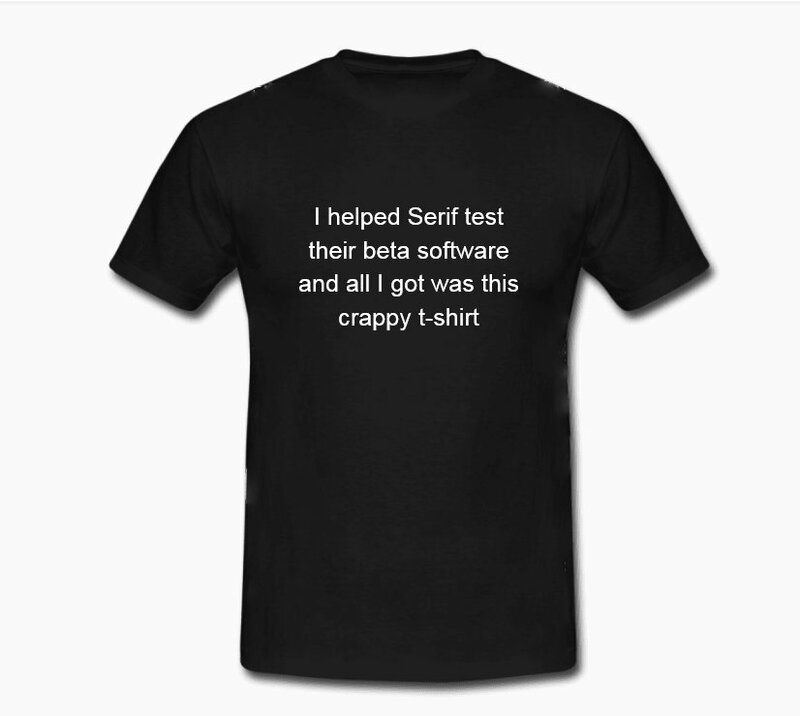 I would prefer the words to say "I helped Serif test their beta software and I didn't even get this crappy t-shirt"